Dr Jennifer Lavers has just returned from filming Blue Planet Live on Heron Island in the southern Great Barrier Reef. The four episodes aired live on BBC One during 26-31 March 2019 and discussed threats to the ocean, including coral bleaching, declining seabird populations, and increasing #PlasticPollution. While on Heron Island, Jenn discussed possible collaboration with inspirational ocean scientists, including Professor Peter Harris - coral reef restoration expert. 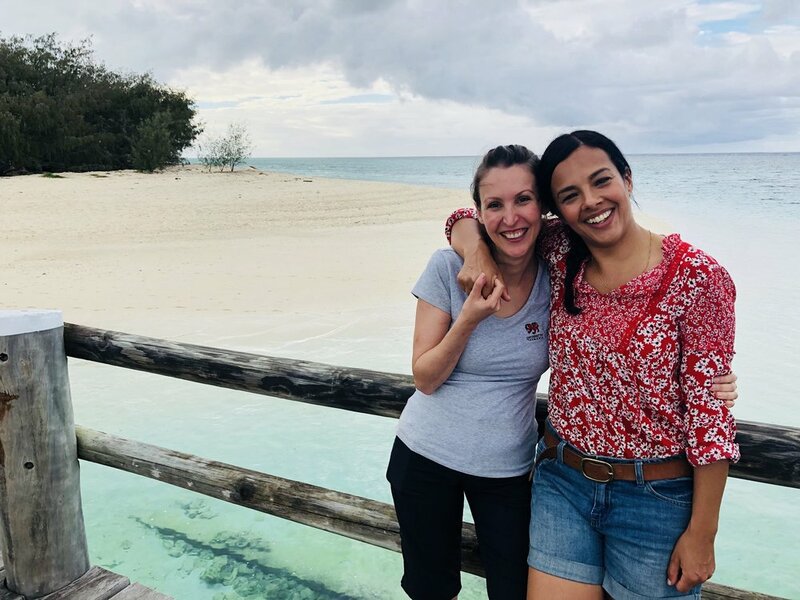 She was thrilled to be reunited with renowned underwater camerman, Michael Pitts, who she filmed A Plastic Ocean with in 2012 on Midway Atoll and BBC Presenter Liz Bonnin who Jenn filmed 'Drowning in Plastic' with on Lord Howe Island in 2018.